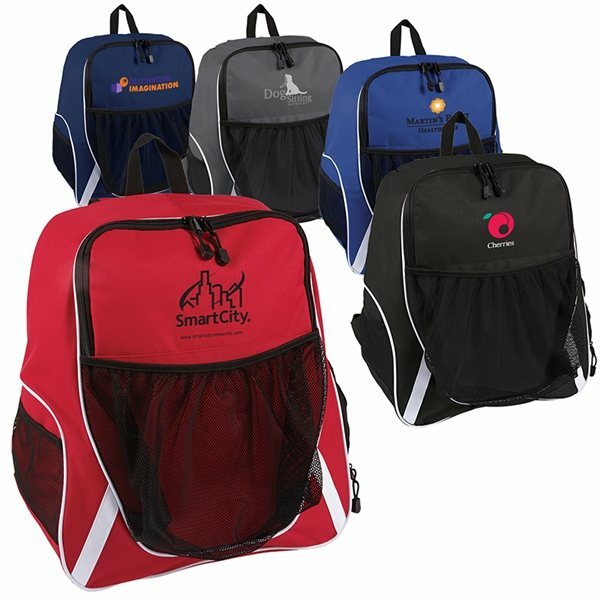 Sporty 600D Polyester backpack with large zippered main compartment. Features adjustable padded straps and back panel. Front mesh pocket with elastic binding for smaller sport balls and other equipment. Molded Rubber zipper cord pulls. Recommended weight tolerance: 121 lbs.